Previously an old and decayed brick house, this Amsterdam dwelling underwent a complete transformation to make its suitable for modern living. Completed by Chris Collaris Architects, House MM has a fresh new personality but still maintains parts of its former self. The studio preserved the compact footprint of the structure and enhanced the living spaces with a tall roof that cantilevers to create a sheltered outdoor area. 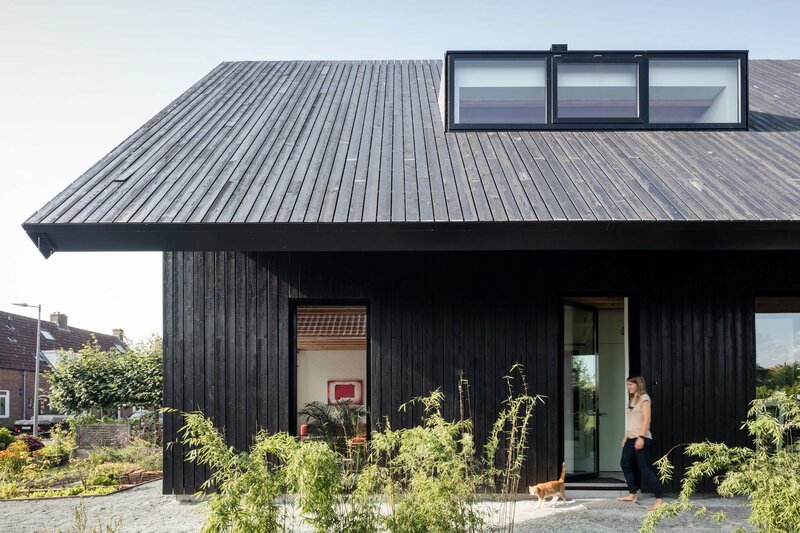 The dark wood house now boasts an eye-catching black cladding on the walls and roof, as well as large windows and black solar panels. 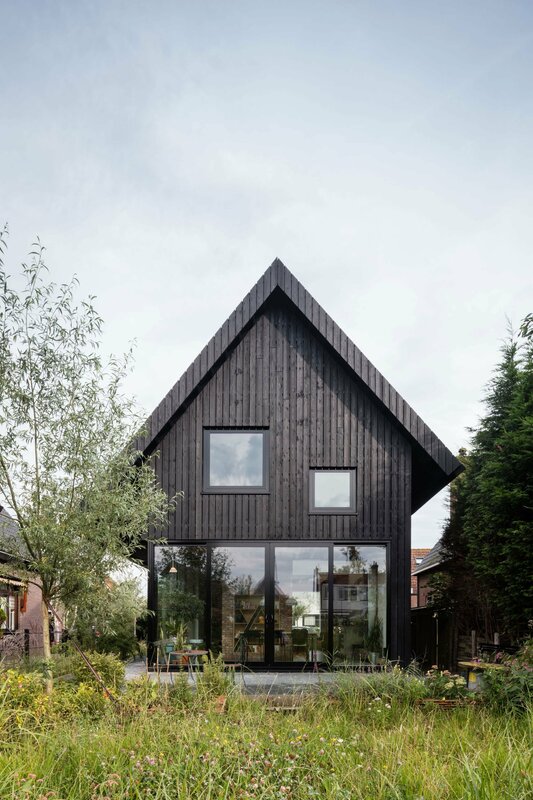 Double glazing and high density insulation enhance the structure’s green features, while hidden gutters and joints accentuate the design’s minimal aesthetic. Roof tiles and wooden floors from the old house appear in the garden, with some of the original brick also used in the interior and left exposed to add texture to the decor. Inside, the double height ceiling and a central space filled with natural light give the ground floor an airy look and feel. A staircase that features integrated storage connects the levels, going all the way to a new attic space. Photographs courtesy of Chris Collaris Architects © Tim van de Velde.